Description: Created as a one-time special release to celebrate the launch of the Dreamland line. Mature beer was pulled from the Dreamland solera and added on top of 84lbs of blueberry residing in a Napa Valley red wine barrel. After two months of aging on fruit, the base beer has transformed into a beautiful blue-purple with strong blueberry aroma and flavors. The goal with these special single-barrel variants of Dreamland is to showcase the base beer under conditions different from those in the normal version. I feel the blueberry is a great addition here, not only making the beer look beautiful but also adding some wonderful fruity complexity and adding to the drinkability of an already easily-enjoyable base. 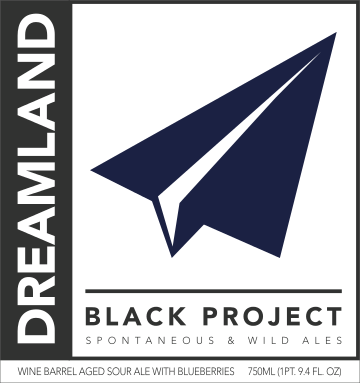 Description: Created as a one-time special release to celebrate the launch of the Dreamland line. Mature base beer was added on top of 84lbs of peach residing in a very fresh A.D. Law's Secale Rye Whiskey barrel. After two months of aging on fruit, the base beer has gained an incredible complementary combination of peach and rye whiskey. The goal here was not to have any one aspect of the beer be overpowering. I think this one perfectly showcases peaches and rye whiskey, but neither component overpowers the base beer. The result? Balance and complexity with interesting flavor and aroma subtleties that appear with every sip.